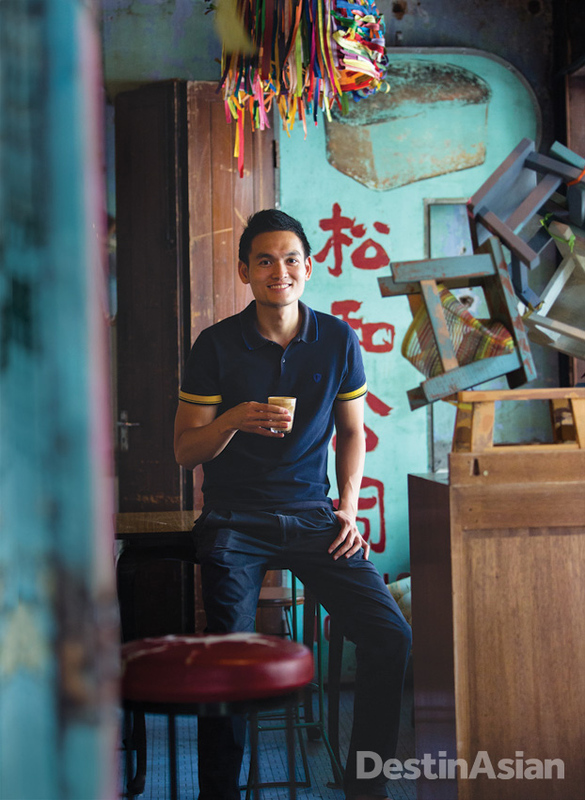 Ipoh-born restaurateur Dexter Song at Burps & Giggles, his cheeky cafe in Kong Heng Square. 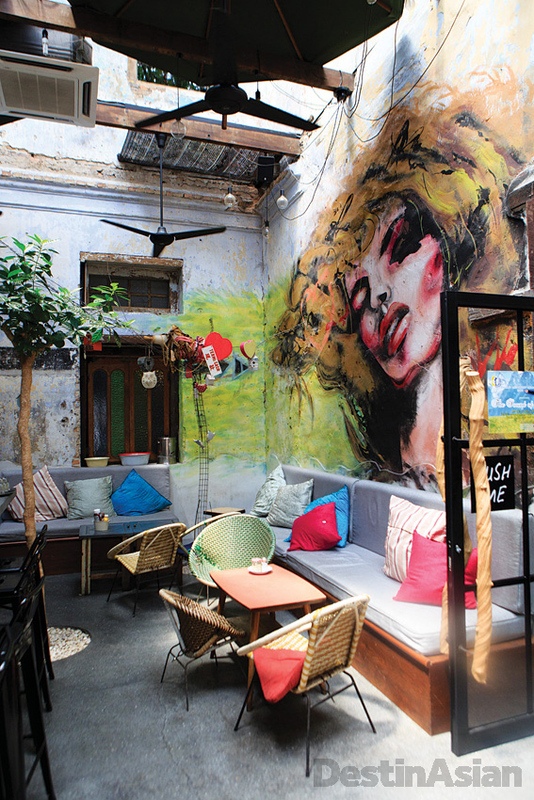 The alfresco bar at Burps & Giggles features wall art by local talents. 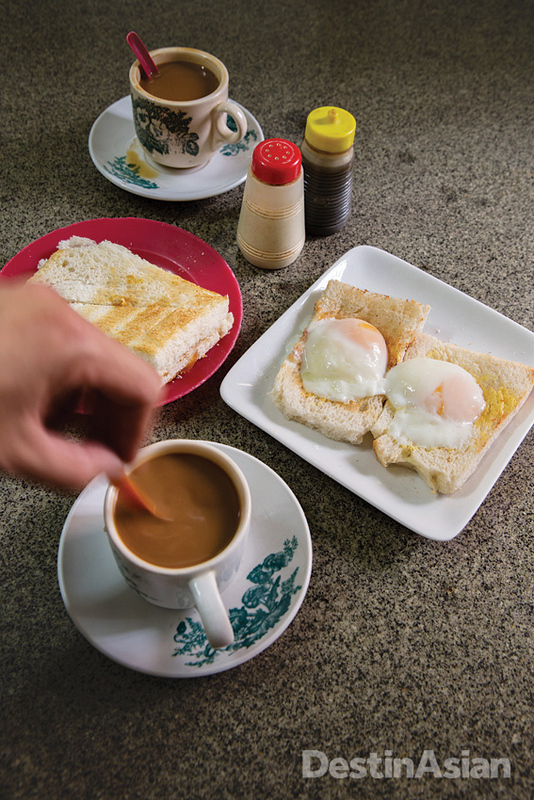 A breakfast of white coffee with kaya toast and soft-boiled eggs at Sin Yoon Loong. 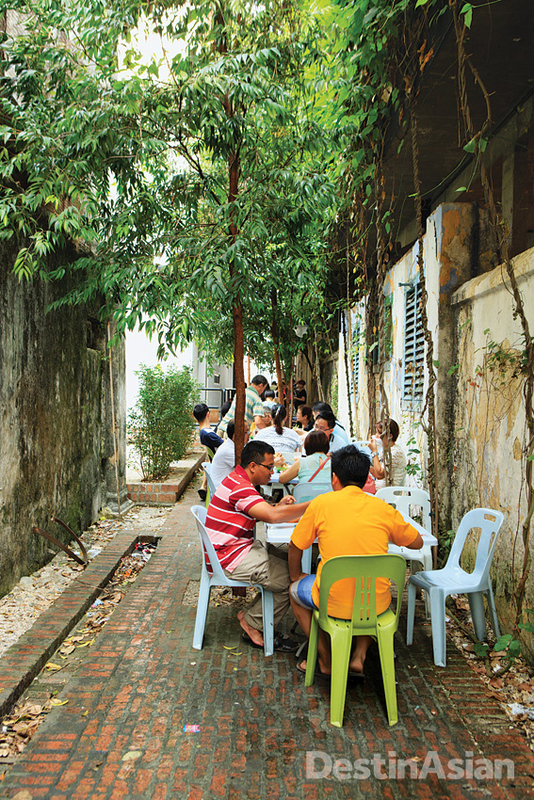 Tables at the long-standing and ever-popular Kedai Kopi Kong Heng spill our into a side alley. 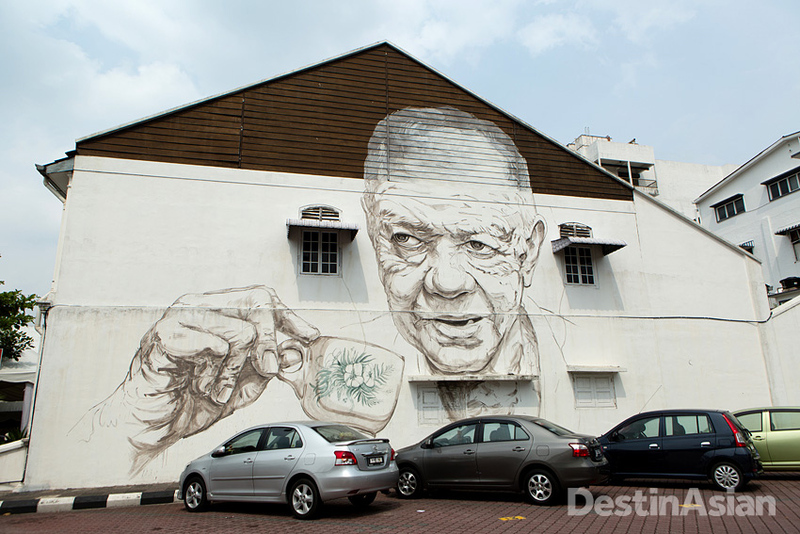 White coffee also appears in this street mural across from Ipoh's central playing field. Prepping a room at Ng Sek San's Sekeping Kong Heng hotel. Weaving among the timeworn marble tabletops at Kedai Kopi Kong Heng, steaming soup bowls in hand, our waitress shoots me a look of mild disdain. She appears to be in her mid-50s and one of those sweet-and-sour matronly types—a real aunty, as we call them in Malaysia. She inches closer to my table through the coffee shop’s lunchtime chaos and glares at the bulky camera that I’ve been holding, on the verge of committing the greatest mealtime faux pas of all time: photographing my food. Faster than you can say “hor fun”—the name of the slippery, broth-submerged noodle dish lying untouched before my lunch companion and me—Aunty has muscled her way into our midst and deftly transformed the jumble of orange melamine plates on our table into an Instagram-worthy still life. “Na, you see?” she nods with smug satisfaction. We do. After that, there’s little else to do other than thank her sheepishly and take the damn picture. Gastro-tourism, it seems, has officially gained a foothold in Ipoh—even the hawkers are schooling diners in artful food-styling these days. Finally, we surrender to the soupy hor fun, a homey concoction of multilayered flavors with a faint sweetness that lingers on my tongue. 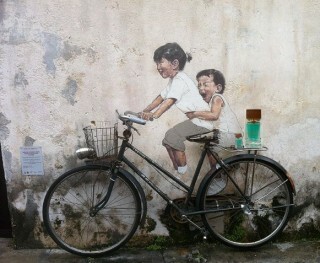 It perfectly exemplifies Ipoh and its easygoing allure. 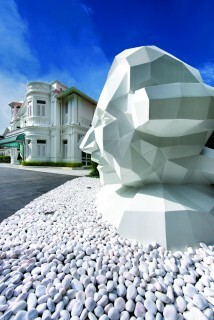 The state capital of Perak wasn’t always so laid-back. Set in the tin-rich Kinta Valley some 200 kilometers north of Kuala Lumpur, the town flourished in colonial times as the hub of a booming tin-mining industry, earning itself the moniker “City of Millionaires.” But with the collapse of tin prices in the early 1980s, Ipoh’s golden period ended, and it slipped quietly into the mold of a sleepy hamlet as if it all never happened. Ask any Malaysian about Ipoh, and they’ll likely recite a miscellany of homegrown bounty: gorgeous women, pomelos, white coffee, bean sprouts as fat as a baby’s finger, and food—particularly food. For anyone who comes to Ipoh to eat—and that’s most—it’s considered sacrilege not to begin in the Old Town area, where handsome colonial buildings from the early 1900s intermingle with commercial shophouses. 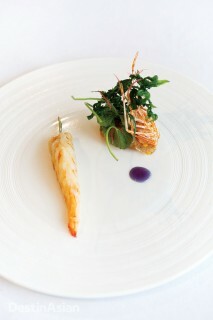 Located south of the central padang (playing field) and a short walk from Ipoh’s domed and turreted railway station, this is where many of the city’s culinary cornerstones continue to thrive. 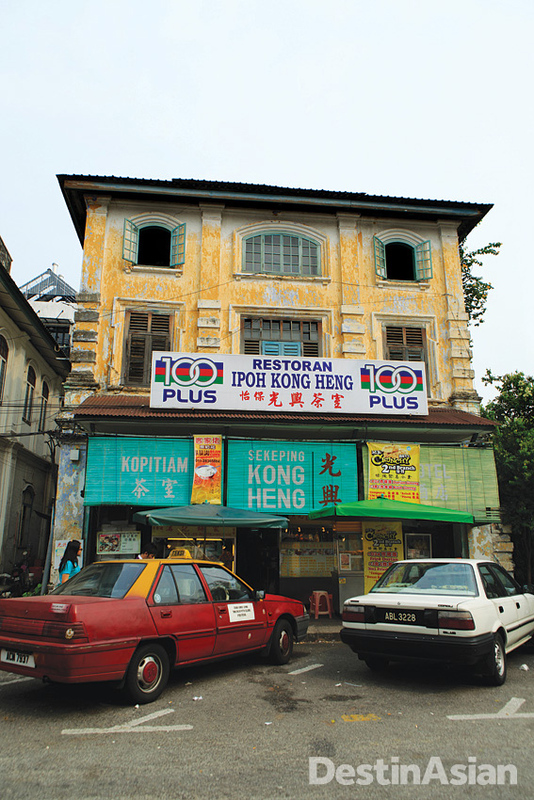 Kedai Kopi Kong Heng, manned by four feverishly overworked hawkers, is one such place. A century-old haunt dating back to the days of the tin barons, it stays packed from breakfast through closing time. Once frequented by migrant workers and Chinese opera performers who ambled in between shows at the now-demolished theater next door, the high-ceilinged dining area, fitted with rotating fans and fruit-shaped paper lanterns, has seen its share of ferocious appetites and key moments from Ipoh’s storied past. 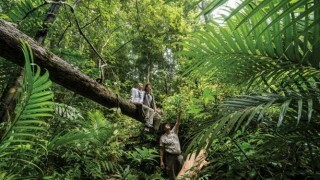 When Ng left Ipoh to pursue his career, he knew he would later return to revisit these memories in one form or another. So in 2008, when the three-story building housing the eatery serendipitously came on the market, Ng snapped it up. 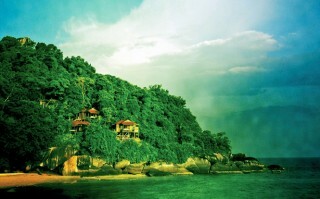 Its derelict upper floors, which once provided sleeping quarters for opera performers, have since been transformed into the Sekeping Kong Heng, a raw, “under-designed” addition to Ng’s Sekeping chain of inimitable hotels and retreats.